Ezra Davids is chairman of Corporate/M&A at Bowmans specialising in mergers and acquisitions, capital markets, and securities law. Ezra is the most recent chairman of the Faculty Advisory Board of the Law School of the University of Cape Town. He is also a member of the board of trustees of the Legal Resources Trust (a non-profit human rights organisation using the law as an instrument of justice); a director of Freedom Under Law (a non-profit organisation dedicated to the promotion of the rule of law in Southern Africa), and a patron of the Student Sponsorship Programme (a non-profit organisation that places and enables academically talented, low income students to excel in South Africa’s best high schools). 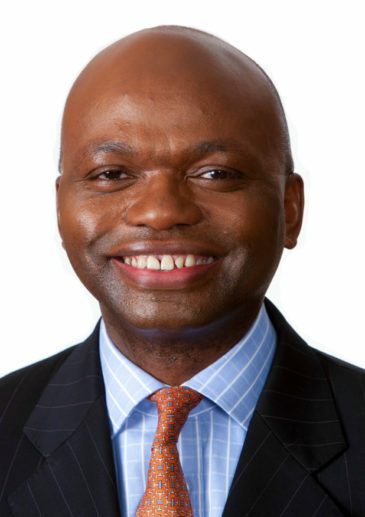 He is also the former chairman of the recent developments in M&A subcommittee of the Corporate and M&A Committee of the International Bar Association and is a patron of the Student Sponsorship Programme and a member of the University of Cape Town Council. Ezra is the relationship partner for a number of the firm’s major clients such as Bharti, Verizon, Barrick Gold Corporation, Microsoft, UPS, Goldman Sachs, Merrill Lynch, UBS, Eskom and Transnet. He is also a regular contributor to international M&A and equity capital markets publications, and is co-contributor on the mergers’ chapter of the Modern Company Law text book. Ezra was the first practising African lawyer to be featured on the front page of the American Lawyer. Ezra was co-lead partner in the firm acting as South African counsel to SAB Miller in its proposed combination with AB InBev (ZAR 1.5 trillion/ USD 107 billion), the 3rd largest M&A transaction ever in the world and the largest in South African M&A history. for Old Mutual Plc in the aborted negotiations related to the acquisition by HSBC control of Nedbank Limited; and as South African counsel for PPR in the disposal of its furniture and household goods business, Conforama, to JSE-listed Steinhoff International Holdings Limited (ZAR 12 billion). Ezra Davids has been recognised in Who’s Who Legal: Thought Leaders – Global Elite (3rd Edition) 2019. Ranked by Legal 500 in 2018 as a Leading Lawyer for Commercial, Corporate and M&A. Chambers and Partners 2018 ranked Ezra in Band 1 for Capital Markets: Equity; in Band 1 for Corporate/M&A: South Africa; and in Band 2 for Corporate/M&A: Africa-wide. Ezra was recognised by Who’s Who Legal 2018 in the the following categories Thought Leaders: Corporate Governance; Thought Leaders: M&A and Governance; Corporate: Corporate Governance as well as for his work in the Mining sector. IFLR1000’s 2018 Financial and Corporate Guide rated Ezra as a Highly Regarded Lawyer for Energy and Infrastructure, Debt Capital Markets, Equity Capital Markets and M&A. Recognised by Best Lawyers 2017 for Corporate Law, Mergers and Acquisitions Law and Mining Law. Chambers and Partners 2017 ranked Ezra in Band 1 for Mergers & Acquisitions and Equity Capital Markets. They also ranked Ezra in Band 3 for Corporate M&A Africa-wide. He is also ranked Leading Lawyer by IFLR1000 2016. Corporate/M&A chair Ezra Davids is highly regarded by commentators, who describe him as a “deal maker” who “embraces the landscape and business community” to give “well-seasoned, in-depth law advice.” He has a deep understanding of the telecommunications and energy sectors.